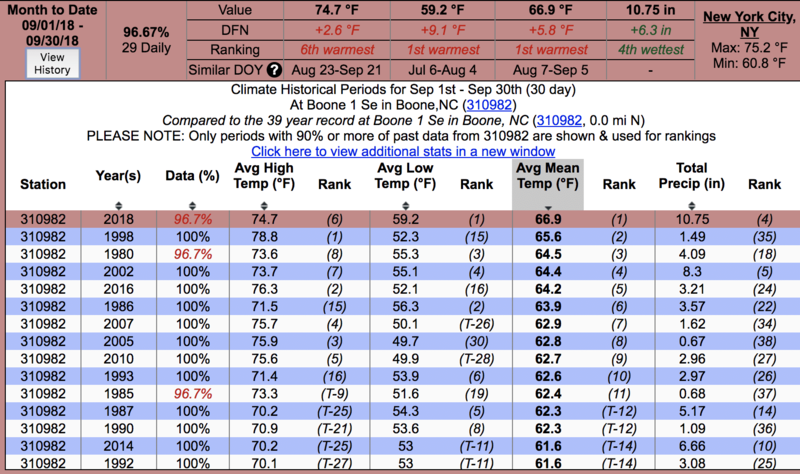 It was a hot September, so hot that it became the hottest September in Boone, since 1980, for average mean temperature and average low temperature, and also became the third hottest September since 1929. 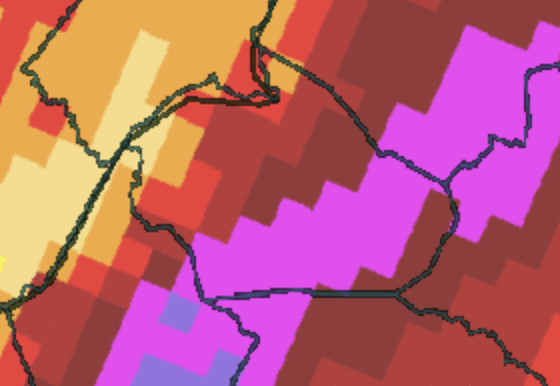 Before diving into the data, it is important to note that official Boone weather records rely on three different sources. Boone COOP station 310977 was used from 1929-1980 and Boone 1Se 310982 from June 1980-present for temperatures, rainfall and snowfall. Watauga Medical Center reporting station KTNB is used for wind speeds. 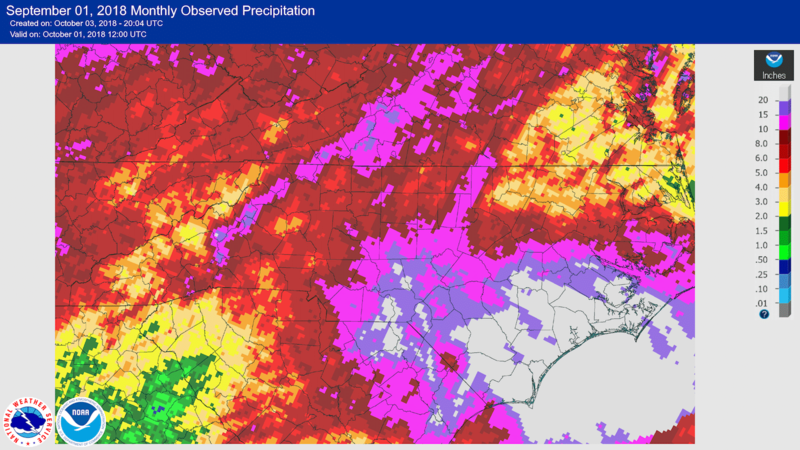 The average low temperature of 59.2 degrees was 2.9 degrees warmer than the previous record of 56.3 set in 1986. 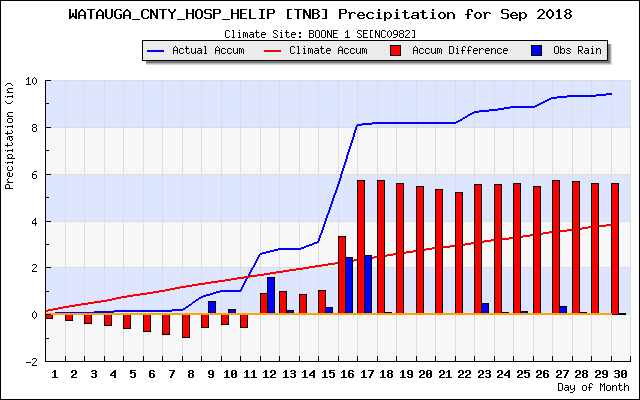 Greatest one day temperature swing: Wednesday Sept 19 from 54 to 79.2 (difference of 25.2 degrees). 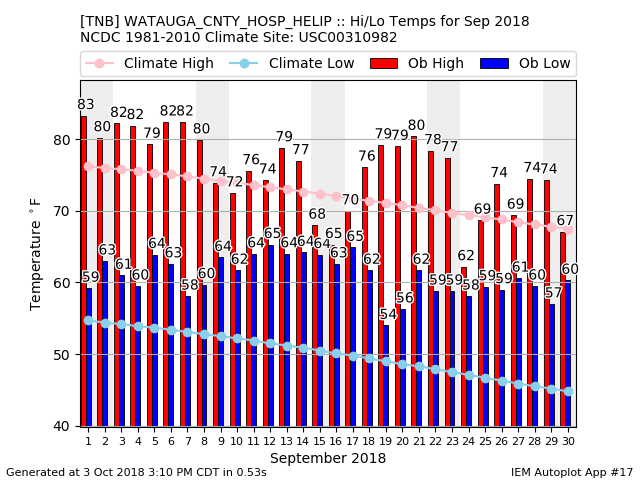 Largest temperature swing in a week: Sunday Sept 2 from a low of 63 to 79.9 on Friday Sept 8 (difference 16.9 degrees).